When you have that overwhelming craving for a negitoro roll and some hamachi nigri, you most likely don’t have to look very hard to find a place to satisfy that hunger. Whether that maki and nigri is prepared to the standards of Japanese sushi masters probably isn’t the case. The Japanese government is tired of sad overseas maki and nigri giving sushi a bad name and is launching a new certification program in hopes of bringing sushi around the world to a place of better training and quality. 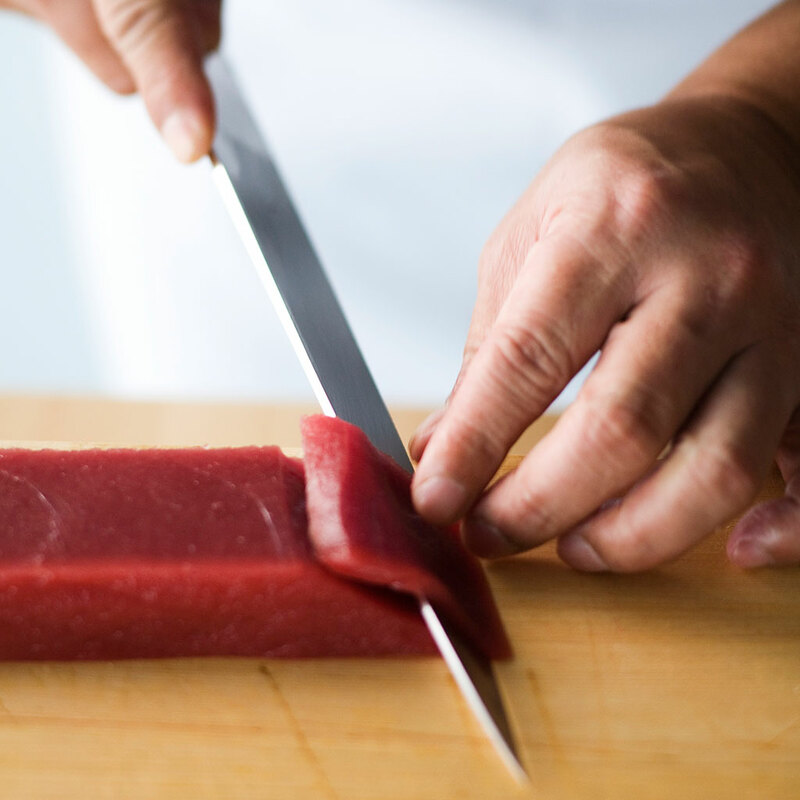 The certification program will involve sushi student chefs going to Japan to immerse themselves in Japanese food culture and fish handling, as well as presentation and standards of service. "By enhancing their understanding of washoku, we hope to raise the quality of (Japanese) restaurants overseas and expand exports of Japanese farm products and seasonings," an official for Japan's Agriculture, Forestry and Fisheries Ministry told the Japan Times . This is the first certification program, but trainings have existed in the past. "I came to the U.S. through the Japanese Sushi Society to work at Sushi Taro in Washington D.C. The restaurant was the head of U.S sushi society back then,” says chef Makoto Okuwa, of Makoto Restaurant, in Bal Harbour, Florida, who was at the helm of Morimoto New York and Philadelphia, and appeared on Iron Chef America alongside Morimoto for years before branching off on his own. “Sushi Taro and the Japanese Sushi Society created an event each year to introduce real Japanese culture to the people and one of main categories was sushi competition. I think that was the main reason why they visited every year: to show real sushi, to teach the standards of making sushi and to help determine what to expect to be called sushi. I think the certification is an extension of that work that we were doing,” says Okuwa. “I think it's a good idea to have certification as an option, but I think creating grades is unnecessary. I've been training sushi chefs for many years and have been very proud of the work of great chefs who might not have the opportunity to travel to Japan for the program,” says Okuwa. The program is slated to begin later this year. Until then, continue to avoid bodega sushi. Your stomach will thank you. Should Asking to "Hold the Rice" Get You Kicked Out of a Sushi Restaurant?